District 29 – September 2012 – Lincoln Nebraska A.A.
Secretary’s Report: Sheila H. August 14, 2012 Minutes were read and approved. Balance $407.31 as of 9/11/2012. Area 41 was this past week end. There are 91 groups in Area 41 that are unknown due to there not being a group contact person available. I will be visiting the groups in District 29 to see if there is someone who will be willing to be a contact for their group. 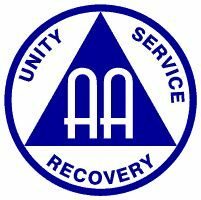 They don’t have to be a GSR, just a person willing to have the literature from GSO sent to them so that the group can stay in tune with what is going on in AA as a whole. There was discussion about the four corners workshops. There are two regions that could be hosting the workshop, one being the North East Region and the other being the South East Region. Jennifer R. was asking about what the process is and what it involves. Corrections Power Point – The corrections chairperson requested that this item be tabled. A vote was made and tabling the Voting item passed For = 38, Against = 0. The item will be tabled until GSO could be contacted about the patent rights and other items relating to the issue. State Fair – The booth was manned by volunteers and people stopped to check it out, but they weren’t certain how much literature was used. The question was brought up if there were discounted tickets for the volunteers. Also we talked about the PI Committee buying a TV with a DVD player to show Public Service Announcements at the State Fair and other AA events to catch people’s attention. Hotline – It was reported that there were approximately 300 calls that were received since March. Labels – PI had discussed purchasing yellow labels with blue printing on them to match the colors of the Big Book. A person from a print shop showed them how the Blue ink would appear on a yellow label, and it appeared to look black on the yellow, however; it still looked pretty good. New Business – Area 14 – Florida made up a flyer about PI to use at the group level. The only thing that Area 41 would have to do is change the part where you look at how to contact us. We talked about Anonymity; most of the resistance comes from within the fellowship by uninformed member, as anonymity is in regards to press, radio and films. We also talked about putting how to reach AA on social media networks such as FaceBook, and it is reported that attempts have been made to contact FaceBook about this issue and there is still no report back from them. District 29 is still seeking people to serve as Alternate DCM and Alternate Intergroup Liaison. The Business meeting will be October 1st at 7:30 before the meeting. The meeting is very consistent; people are carrying through picking up people. The group has a new alternate GSR, Jason E. who will also be attending Area meetings; he may have possibly attended Area this past weekend. Attendance is averaging 30-35 people and it is a good mixture of folks. There has been some discussion of the group doing a group inventory in the near future too. Closed at 6:47pm with the serenity prayer. Next Meeting will be held October 9, 2012 at 28th and “S” streets 2nd floor Room 2A @ 6:30 pm.